Nestled away in the flourishing forest at the end of the road with the sounds of two babbling creeks is a beautifully crafted home. On nearly 10 acres of private land stands a 1914 sqft home with hardwood floors, a unique floorplan, and stunning beamed vaulted ceilings. Only 5 miles from Hirz Bay boat launch on the McCloud arm of Shasta Lake this is the perfect location for the outdoors-man.The spacious loft is equipped to be the ultimate entertaining area with a bar, sleeping area, and a reading nook. With a top of the line generator your off the grid woes are put at ease with the flick of a switch. New roof installed last year, newer on demand tankless hot water heater, wood stove,propane wall furnaces, and propane refrigerator make country living an ease. More than enough room for all the toys with the large carport and garage with attached bathroom. 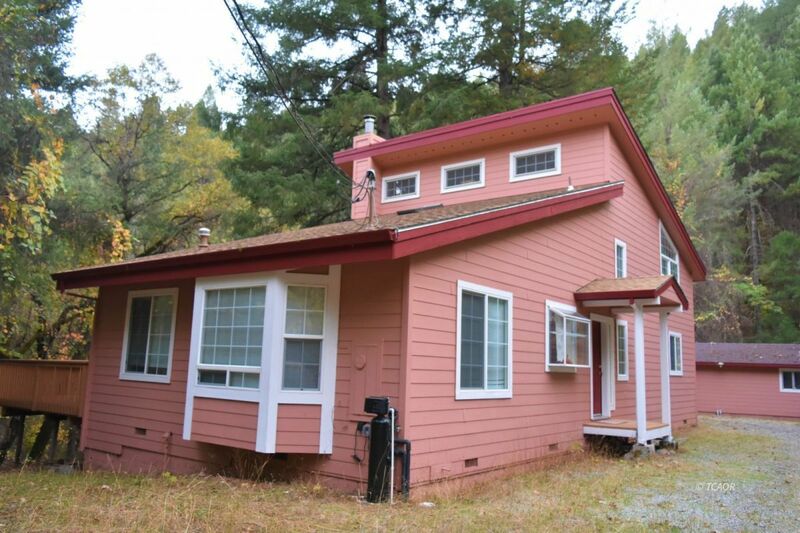 This could be the perfect get away home or permanent residence just minutes away from Shasta Lake.